Everyone says that Caro is bad ...but Jamie can't help himself. He thinks of her night and day and can't believe that she wants to be his girlfriend. Gorgeous, impulsive and unconventional, she is totally different to all the other girls he knows. His sister, Martha, hates her. Jamie doesn't know why, but there's no way he's going to take any notice of her warnings to stay away from Caro. But as Jamie falls deeper and deeper under her spell, he realises there is more to Caro - much more. There are the times when she disappears and doesn't get in touch, the small scars on her wrists, her talk about revolutions and taking action, not to mention the rumours he hears about the other men in her life. And then always in the background there is Rob, Jamie's older brother, back from Afghanistan and traumatised after having his leg smashed to bits there. Jamie wants to help him, but Rob seems to be living in a world of his own and is increasingly difficult to reach. With Caro, the summer should have been perfect ...but that isn't how things work out in real life, and Jamie is going to find out the hard way. I knew that this book was going to be different to anything that Celia Rees had written before but I was surprised just how different it was. 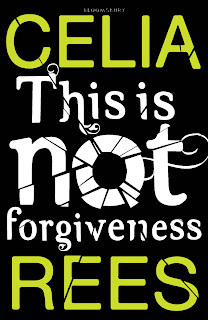 I have loved Celia's previous historical novels and I was impressed by her ability to change to such a hard hitting contemporary novel that is very current and very real. From the first couple of pages, you know this book is not going to end well. You just have to work through the harrowing experience that led to the events that came to be. There is a real coldness about this book. Two of the main characters I really felt uncomfortable to be around. I know I should feel sorry for Robert, but I struggled to feel like that for him. I felt he was another victim who had been ignored, but should have been old enough to get the help he needed. My heart goes out to all the soldiers who fight in Afghanistan and I can't believe they are not supported better on returning to the UK. Was he fully aware of what he was doing? What really were his motivations? Was he just unhappy that his own military career had been ended; or did he really care about the issues involved? I just couldn't help but feel his actions were based upon his own situation, rather than the whole picture. I was also appalled by the way he treated his own brother, it was just awful. Caro is the catalyst in the book and is obviously swept away with the romance and idealism of a life she really knows nothing about; one month she is into witchcraft, the next the Red Army Faction. It isn't until the end of the book that she begins to realise just how far she has gone. I have known a few young girls like Caro, and they used to irritate the hell out of me; they were so full of propaganda and knew nothing of reality. In this book she appears as a child neglected by her mother; who cannot see what is going on. The posters on her bedroom walls should have warning signals to her mother that her daughter might need some attention. Now Jamie, I loved. For me, his innocence and trusting nature really glued the book together. When comparing him to his brother Rob, it is clear that he suffered a lot less than his brother did growing up. He wasn't aware of his father's true nature and never suffered at his hands. This story is both gripping and compelling and shows how things can get out of hand; how an idea can catapult out of control to create disaster. If just one person had listened and taken an interest in both Caro and Rob; this situation could have been averted. With this book, Celia Rees really makes you sit up and think. If you loved An Act Of Love by Alan Gibbons, you will really enjoy this one too. I wasn't quite sure about Act of Love - a little simplistic in some ways - but This Is Not Forgiveness sounds darker, perhaps aimed at an older reader, so more my kind of YA read. I've just ordered it from the library but don't know how long it will take to turn up. I think you will enjoy it. I am still constantly think ing about it. Amazed - by how quickly the library turned up a copy and by the story itself. Much darker than Act of Love but aimed at older teens. I think I had more sympathy for Caro than you did and less for Rob. Worth reading both, just to get a perspective. Excellent review, Vivienne. This one sounds gloomy and dark and worth reading. Great review, I really need to get onto this one. Great review, I've still to read this one but I'm a bit worried about what's to come but in a good way - does that even make sense? Oh my, Caro sounds like something else! 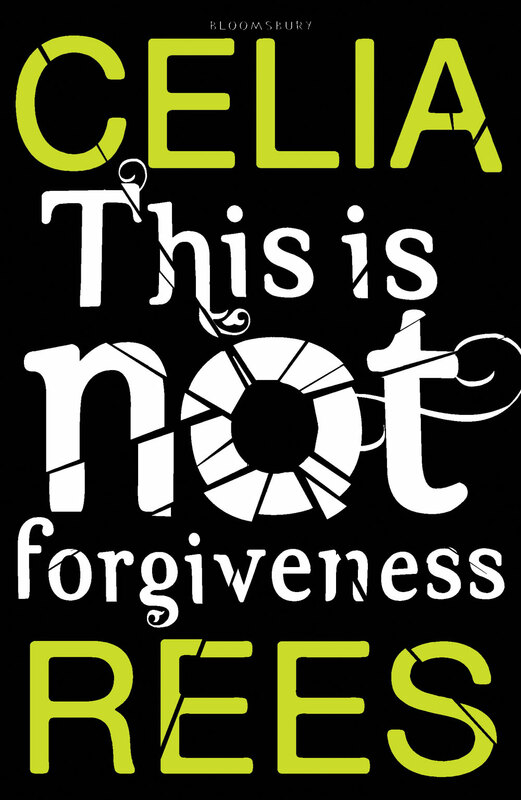 I've always meant to read a Celia Rees book. I like the idea of coldness in a book. The dark intensity is appealing. I really enjoyed this. I haven't read any others by Celia Rees (I know, I know - I will, of course), so can't compare. I was impressed by how deeply dragged in you are, so quickly. Really struggled to put this one down and cook dinner! I've never heard of this one before but it sounds like one I'd like.